Cementitious Urethane – A heavy-duty industrial floor topping, trowel applied at 1/4” – 3/8” for resistance to impact, heat, and thermal shock. 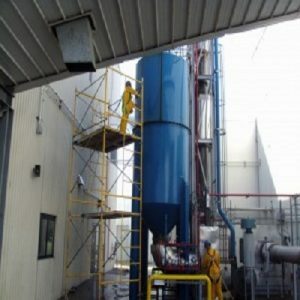 Found in industrial kitchens, chemical storage areas, receiving/loading docks, sanitize/wash areas, and bottling areas. Epoxy– High-build coatings provide very good chemical and abrasion resistance. 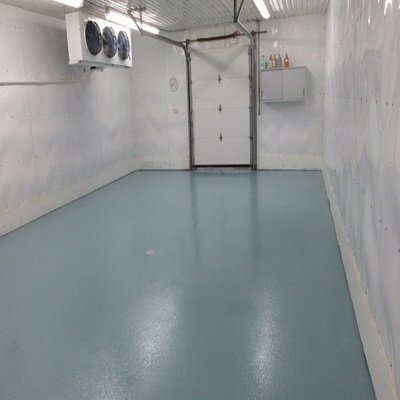 Epoxy floor coatings are highly resistant to the deteriorating effects of many acids, alkalis, solvents, greases, oils, and other active chemicals. Available from 10 mils up to 1/4” thickness depending on the service. Commonly a sand filler, steel shavings, or fiberglass mat is embedded for durability and slip resistance. Offered in a variety of finishes, including decorative options. Urethane – Extreme abrasion resistance, good color retention, and gloss. 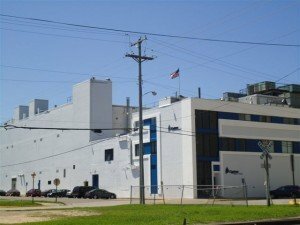 A high-performance urethane coating will provide a durable finish for light industrial use. Urethanes are often used in high traffic areas. Vinyl Ester – Vinyl ester floor topping with filler provides excellent resistance to both acids and alkalis at room and elevated temperatures. Vinyl esters can be used to manufacture TMI CHEM-RESIST and TMI FIBERLIFE. Acrylic Methyl Methacrylate (MMA) – For use in plants where shutdown time is almost non-existent, an acrylic floor cures within 2 hours to minimize downtime. ESD – Conductive and static dissipative flooring reduces electric static charges. Conductive – 104 to 106 OHMS, ESD – 106 to 109 OHMS. 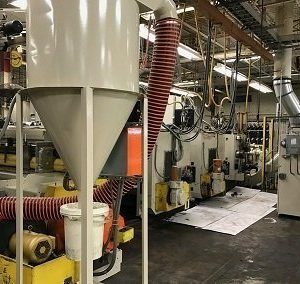 TMI Coatings Sales Consultants, experienced in the application of any of the industrial floor coatings described, can recommend the proper system to meet your needs. For a specific recommendation of a floor system to meet your needs, visit us at www.tmicoatings.com.